Natural indian agate round beads. 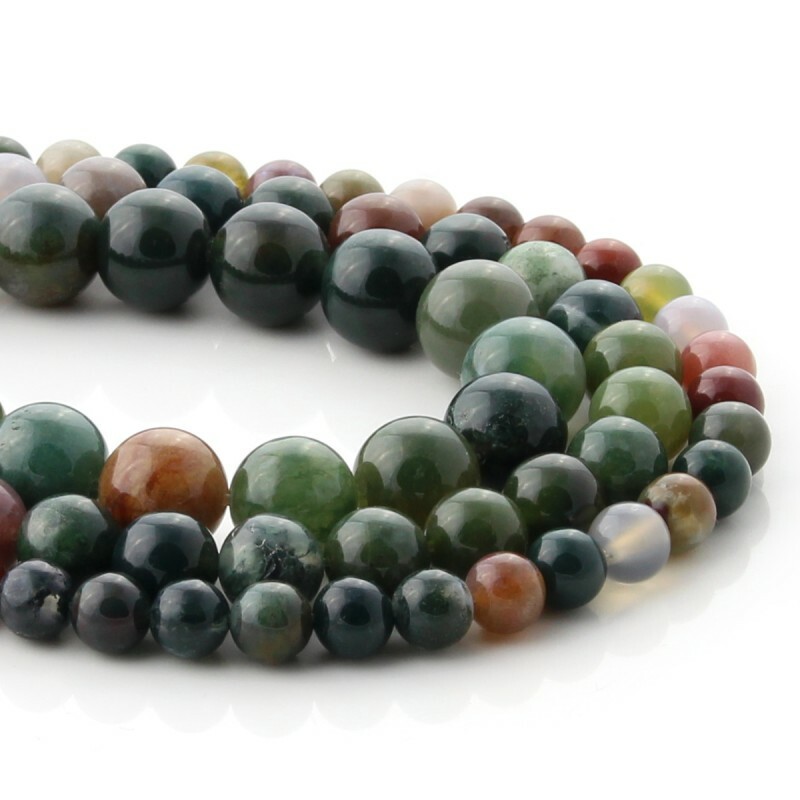 These precious natural indian agate round beads are used in costume jewelry, along with other beads, to make jewelry or accessories such as necklaces, and to obtain unique pieces. 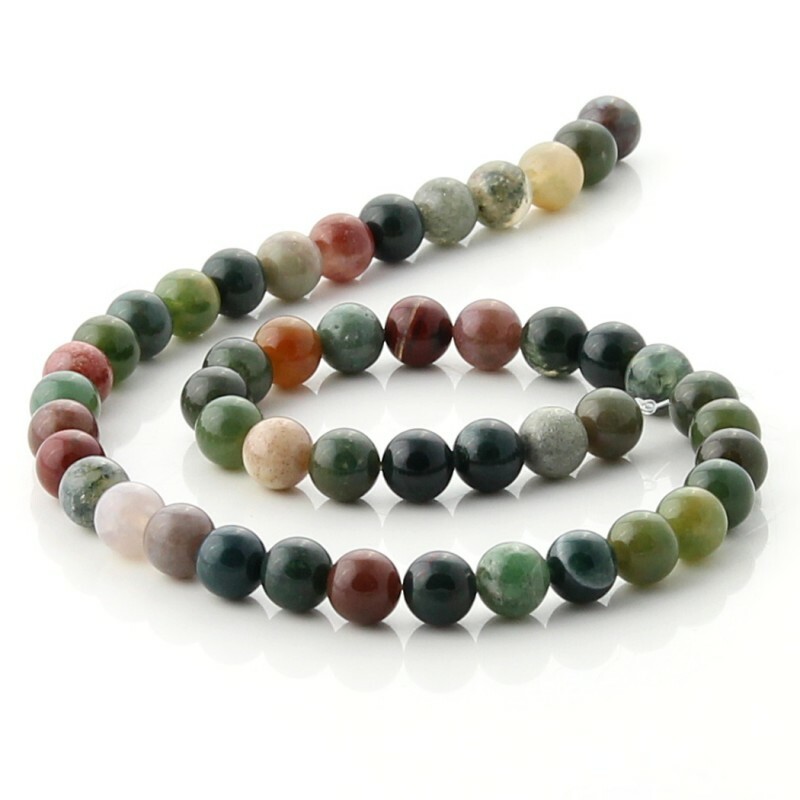 These round beads of Indian agate are perforated and threaded in strips between 38 and 40 cm in length. 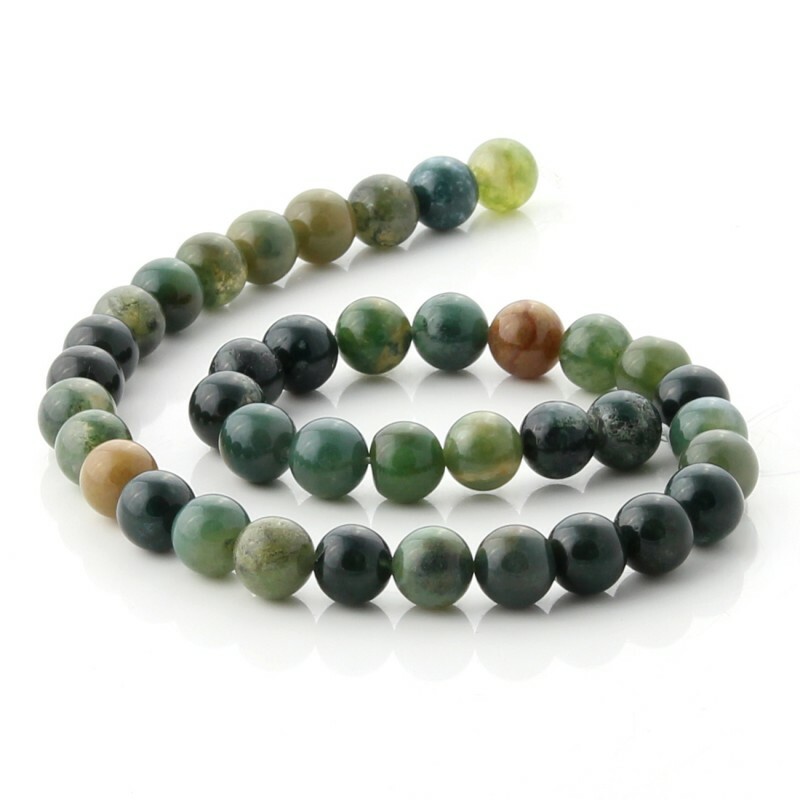 You can choose between 6mm, 8mm and 10mm beads. 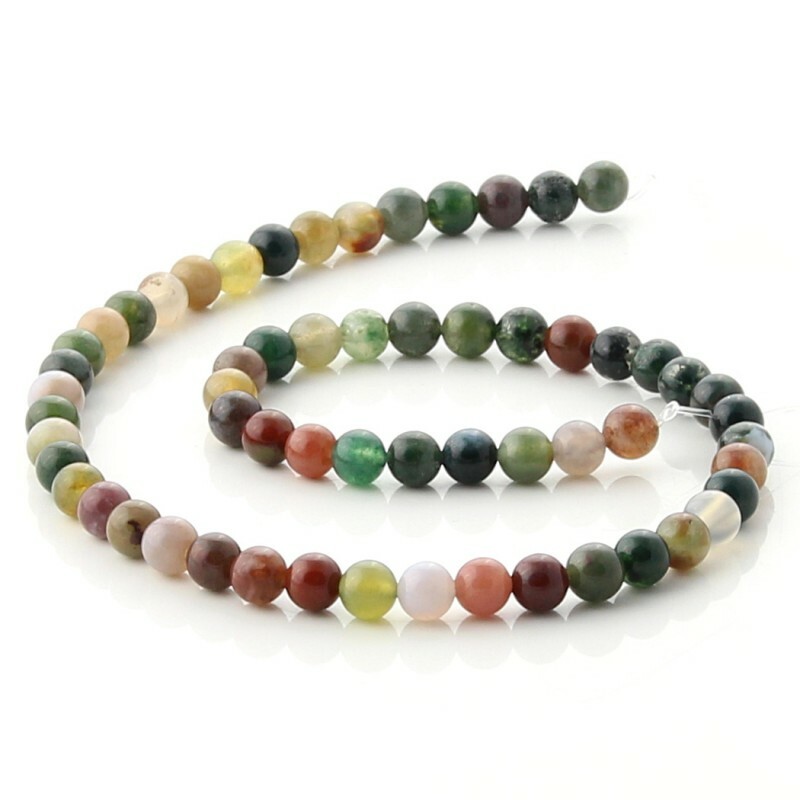 The Indian agate presents a mixture of natural colors that varies of the red to the green, predominating the green tones.